Relax and be renewed! Enjoy spectacular views and caring, personalized, professional service at the beautiful Villa Sianti. A luxury villa nestled in the hills above Lovina, Villa Sianti is designed to deliver maximum comfort in a private, stunning setting. With a spectacular vista, the stunning sunsets over the Bali Sea and Java provide the perfect backdrop for an evening cocktail in the infinity pool. Ideal for a couples get-away or a family holiday base, the villa can house up to 8 people (maximum 6 adults). Lay back and relax around the pool or spend the afternoon lazing in the bale bengong or on the daybed on the first floor balcony - no matter where you are at Villa Sianti, you will enjoy stunning views from every location. Friendly staff are able to assist you 6 days a week and there’s a help desk available to arrange all of your touring and driver requirements. The local are﻿a offers up many opportunities for exploring with hot springs, waterfalls and t﻿he famous Lovina dolphins. Slightly further afield, you can visit the mountain lake resort area of Bedugul where you will find Lake Bratan, famous for the Ulun Danu temple, and the world class Bali Handara Kosaido Golf & Country Club. In fact, the villa even has a full set of mens' right handed golf clubs available for guests to use! Excerpts from some of our great reviews. We had the most amazing time at Villa Sianti and boy were we sad when we left. The staff are simply amazing - each and every one of them. In additional to the fantastic service provided by the staff we also greatly appreciated all the 'little' thoughtful touches such as the welcome dinner and breakfast (what a terrific idea and it was so helpful after a long day of travel) and the fully stocked bar fridge and assortment of snacks. We were treated like royalty. They made our vacation a memorable one. You won't gone wrong staying here. ​What a fantastic villa! We absolutely loved staying here, perched on the hill overlooking the beautiful sea and mountain views. We spent most of our time in and around the awesome pool, watching lightning storms and sunsets. The lovely staff also made us feel so pampered and we enjoyed their delicious cooking each meal. Would highly recommend this villa and will definitely be back again! ​We have been to Bali a few times. This was our first time to Lovina. And it was amazing! The Villa is everything you want. It is better than the pictures. The layout is perfect. Each bedroom has its own bathroom. The pool is amazing. All the sun lounges and a beautiful Grassy area. And the best view! The staff are fantastic. You could very easily stay here for a week and never leave the villa. The food they make is delicious. 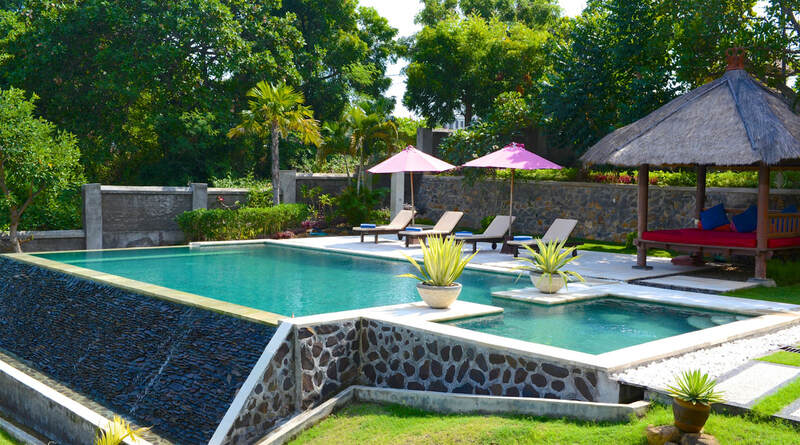 If you are thinking you want the more real Bali feel go to Lovina and book this villa! We can't wait to come back. From the time we arrived at this beautiful villa we were treated like Kings and Queens, the girls looked after everything from cooking and cleaning to making our coffee's, nothing was to much trouble. If you want to be pampered this is the place, the staff will organise massages for you as well. The villa itself is beautiful with sunset views and a nice large pool, airconditioning in the bedrooms works great and the beds are comfortable. Went through so many reviews to find the perfect place. Everyone went above and beyond. The staff are extremely friendly and helpful and will do anything they can to make your stay as comfortable as possible. The sunset views every evening are priceless. The staff will cook your meals and do your shopping for you which makes the holiday even more relaxing. We enjoyed an amazing week at Villa Sianti and will definitely be back for at least two weeks next time. Amazing views especially during sunset. Recommend to have your meals at the table outside the living room facing the sea. Our first time in Bali and we chose North Bali for a less crowded area to explore. Wasn't disappointed at all. We will choose to return. Thank you Villa Sianti! 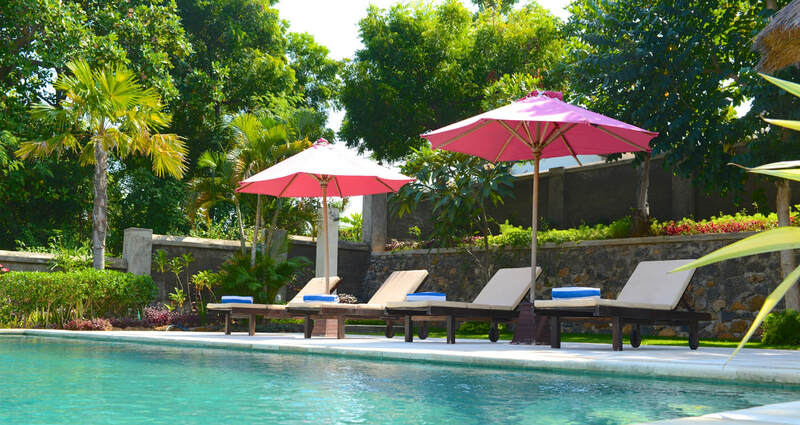 After staying at Villa Sianti for 2 weeks we won't stay anywhere else in Bali. From the villa and gardens and also the pool and day bed, the place is truly amazing. The pool is great with a 1m pool attached to main pool, it is great for kids. The staff are truly amazing. They are so welcoming and great with the kids. Nothing is too much trouble and they will go to great lengths to make sure your wants are met. Thanks for having us and we are already planning our next trip to Villa Sianti. 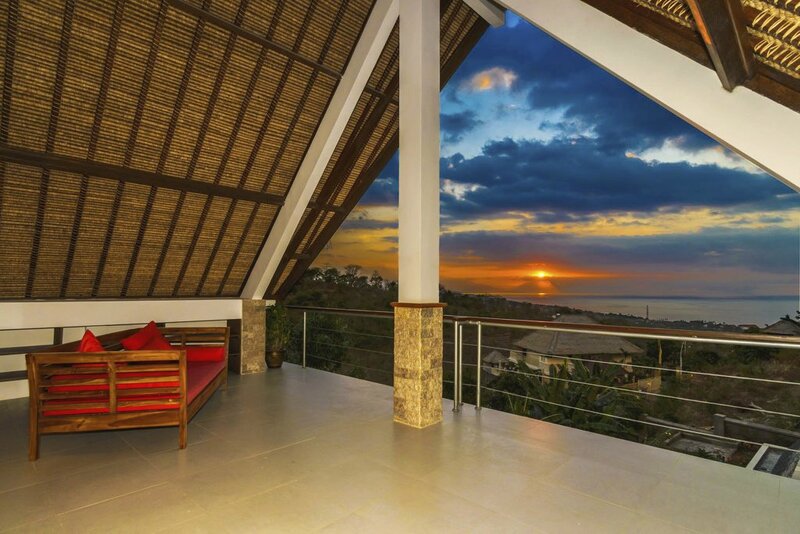 A beautiful villa set in the hills over looking Lovina Beach. The view from the master bedroom is AMAZING. Can see across the sea to Java on a clear day! Highly recommend for a peaceful get away! The villa and the staff are amazing! We had a great time! "Villa Sianti was beautiful! The villa is clean and very well maintained with an amazing view across the mountain and ocean. The villa is huge and the staff are amazing." "The villa is amazing! The staff cooks amazing meals and works hard at keeping the guests comfortable. It's tempting to just stay by the pool all day." "Great place to relax with a wonderful view." "Chilled out bliss. We all loved the accommodation - plenty of room for all of us, nicely appointed accommodation and all the mod cons. We loved every minute of our trip and would return in a heartbeat." "We had an amazing time and couldn't have asked for a better holiday. The villa had everything a family would need. Not to mention the cooking.....it was to die for!" "We had seen the pictures but we couldn't believe how spacious it was. The kids couldn't get enough of the enormous pool and it was so relaxing lazing nearby with a good book. Our stay at Villa Sianti exceeded expectations and we would love to return!" "The villa is absolutely beautiful! The staff made our stay effortless and so comfortable - and the meals we had here were some of our favorites in Bali. Would absolutely recommend staying here." "It was our first time staying in a villa and I'm so glad we booked it! 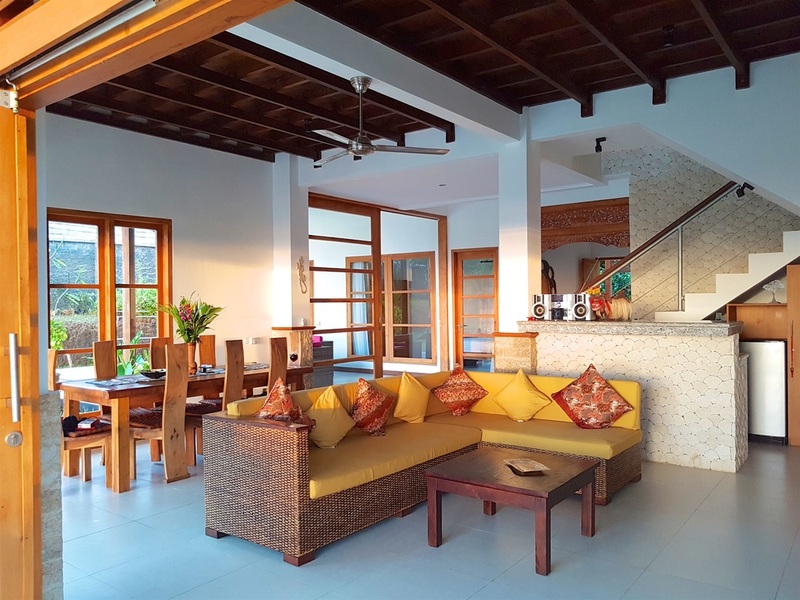 The spacious villa (beautiful & well designed) is in a fantastic location - quiet and private, surrounded by nature but a short distance from Lovina"
"The staff at the villa would make sure you had anything you wanted and cooked wonderful meals. If I get to go back, I will not leave the property! The villa was a perfect place to relax and decompress." "Villa Sianti has been like a dream for us ! We really enjoyed the hospitality of Putu, Kade, the gardeners and security. Received daily Wonderfull breakfast, lunch and/or dinner in the villa. Highlights are; Massage, diving lessons in private pool, the luxury of your private villa with excellent staff in the best place on Bali!" "We think this luxury villa defines a "good deal." We've stayed in many villas in various countries over the years, and Sianti is top tier. It is very spacious--more than you can tell from the photos--so that six people never feel on top of one another unless by choice. The pool is also excellent--large and with a gorgeous view over the jungle below and the ocean a mile or two in the distance."